Well we made it through Christmas.. Did you have Christmas snow where you live? We did not, and my kids were a bit bummed. Honestly after the winter we had last year, I was not. 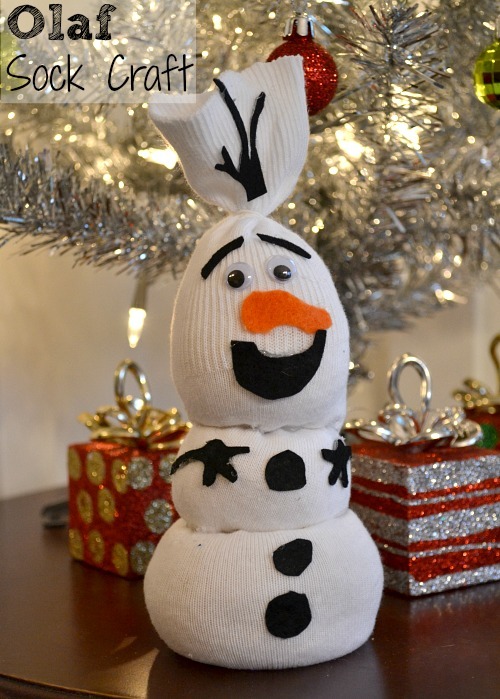 I would much prefer snow of the not so real kind, like this Olaf Sock Craft by Luv a Bargain. This would be a great craft to make with your kids this week while they are home on holiday break. Be sure to check out Luv a Bargain to see how to make your very own Olaf with an inexpensive sock and craft supplies. Thank you so much Sherri, for linking up to Dare to Share!